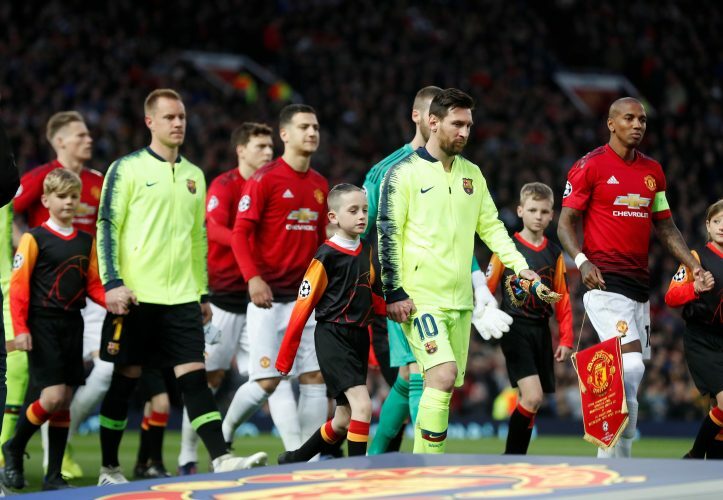 Scott McTominay produced a brilliant display in midfield for Manchester United against Barcelona in the UEFA Champions League quarter-finals first leg tie at Old Trafford. The 22-year-old created a lot of problems, and deserves all the plaudits. Despite United’s 1-0 loss, the youngster was one of the positive factors for the Old Trafford unit. McTominay has grown into a mature footballer. The player made his debut for the club under former manager Jose Mourinho, who gave the youngster the chance to express himself in the middle of the park. Now, current manager Ole Gunnar Solskjaer has shown his trust in the Scot on a big European night. McTominay gained rave reviews for a sturdy display from all corners. Solskjaer heaped praise on him in the post-match press conference, and likened him to former United great Darren Fletcher. Mourinho also had his say on McTominay, as he singled the youngster out for United’s spirited show while speaking to Russia Today, and stated: “Barcelona was not Barcelona yesterday. The Portuguese tactician said that the player was completely fearless, and and created major issues for Barca. “Afraid of nobody. Imposing his respect. Pressing really hard with a huge range of movement a huge area of pressing. Pressing higher and creating problems in Barcelona building up then really aggressive on the duels,” Jose added. Since making his debut in the 2016-17 season, McTominay has played 42 games for the club so far. And with his recent display against the Catalans, it looks likely that he will play a lot more in the years to come.